This arrangement for two flutes of the beautiful Siciliano from Johann Sebastian Bach's Flute Sonata No. 2 was kindly contributed by one of our visitors. 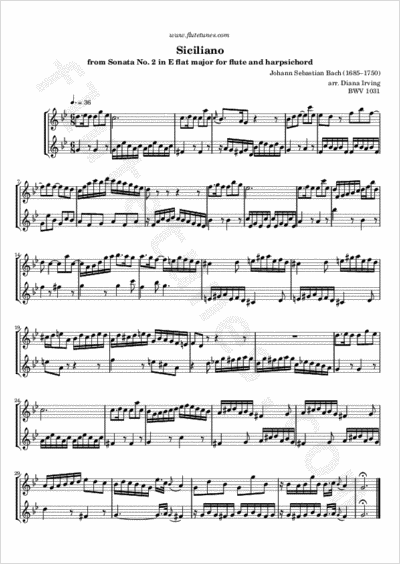 The original arrangement for flute and keyboard can be found here.